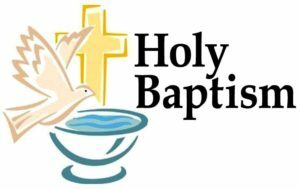 Parents must attend a Baptism class BEFORE scheduling a baptism. For first-time parents, sessions will be held the first Tuesday; for “experienced” parents, sessions will be held the third Tuesday of: February, April, June, August, October & December (Baptisms are not scheduled during Lent). To register, please contact the Parish office at 573-636-8159. Community Baptisms will be held the 2nd & 4th Sunday of each month – excluding holidays.